Paradise Timeshare Resale is an Authorized Broker for the Marriott Vacation Club. Welcome to the all-American town of Branson, Missouri. 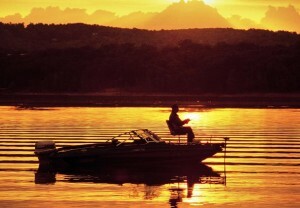 Popular for its lively theatrical shows and theme parks, Branson’s appeal also lies in its outdoor activities. 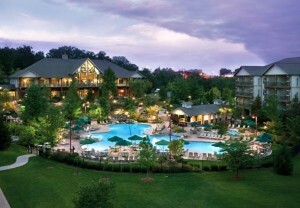 Set amid the picturesque Ozark Mountains, Marriott’s Willow Ridge Lodge is a charming lodge-style resort, providing your family a tranquil place to relax after a long day of exciting attractions. There’s no better place to enjoy the “Hometown USA” feeling of Branson, Missouri than from stylish resort villas that feature all the comforts of home and the pampering conveniences of resort living. 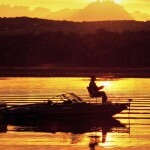 Boasting more theater seats than Broadway, Branson, MO is known as the “Live Music Show Capital of the World,” and with resort accommodations at Marriott’s Willow Ridge Lodge, enjoying all of the wonderful things to do is easy. Fantastic entertainment, family attractions, and outdoor recreation combine to make Branson the perfect setting for this self-contained vacation community, which unlike other resorts in Branson, MO, offers standard guestrooms, as well as one- and two-bedroom villas with full kitchens, living/dining areas, private balconies, and washer/dryers for a relaxing vacation experience with all the comforts of home. Two swimming pools, a fitness center and arcade are a few of the onsite amenities that make this resort in Branson an ideal destination for vacation adventure. The resort offers comfortable accommodations and on-site amenities that appeal to all ages. Golf lovers will appreciate how close they are to the award-winning Thousand Hills Golf Resort, just a half-mile away. Your family vacation is in the center of it all, where the bright lights of Branson’s legendary shows combine with small town hospitality and rustic beauty. Stylish villas feature separate living and dining areas, with private balconies or patios. Fully equipped kitchens with cookware and tableware. 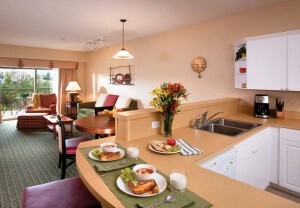 Guestrooms feature kitchenettes with mini-refrigerator and a microwave. Home-like amenities include utility room with washer/dryer. 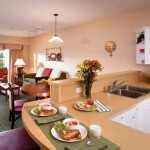 All accommodations feature TVs, DVD player, movies for rent and free Internet access.